Limit Theory is going to look amazing using Nvidia's new Quadro RTX GPU to render the universe and ships with real-time raytracing. The upside about LT taking so long to develop: Since LT can scale up with more processing power, by the time it releases, everyone's computers will be much better than they were during the KS. Though I imagine that a mid-tier laptop from 2012 will still be the min specs. DirectX 12 required, I presume. No use for us Win7 holdouts. I understand skipping 8, but 10 is actually pretty good. Much faster load times, and while patches are pretty much forced, I haven't had issues with patches for 10 yet, in business or home use. I have WX on another HDD, having tried it out during the freebie stage. Yes, it's fast and works well, but it looks ugly. More importantly, it's what came with it as regards the attitude, the force-feeding, the forced updates, and the data slurping. It's become a point of principle for me (and others), and M$ will never see another cent of my money! If that means I cannot play the latest games, so be it. Win7 should see me out - if it doesn't, I'll switch to Linux for my twilight years, and flip the finger at that coño SatNad! i paid like 2.5% for my windows license by virtue of getting a university license. at least in terms of "not seeing another cent"
I paid a bit extra for the Pro version of Win 10 specifically so that I could control when to download and install updates. Worth every penny. I do still have to go back and disable Microsoft's horrible phone-home "analytics" after each major update. Fortunately those don't happen too often. Apparently UE4 is getting extensions to use Microsoft's DXR ray-tracing API. 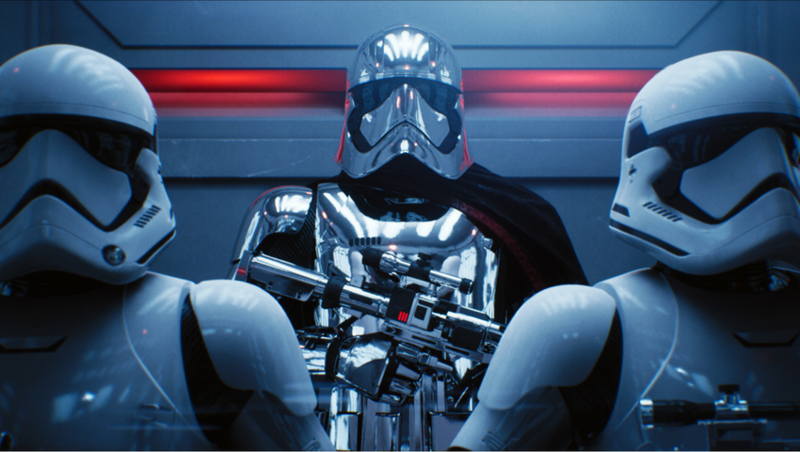 Epic have used this (working with Nvidia, I think) to create a short "Captain Phasma" film for SIGGRAPH 2018 to showcase how real-time ray-tracing can support a "virtual film studio."